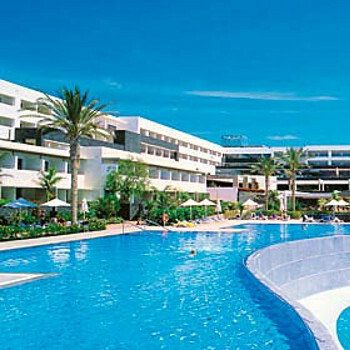 The Costa Calero is a lovely hotel, very clean and spacious rooms. With multiple swimming pools and entertainment for kids its great value. The food and wine were 5 star quality for an all inclusive hotel and there was always freshly cooked food every day at any time available. The kids particularly liked the toasted sandwiches you could get every afternoon by the pool and the bingo! Nice quiet location but close enough to the main town if you wanted to get out and about - by a lovely marina with a market and shops and restaurants. I'd definitely visit again. We only stayed for a week, but wish it had been longer. The staff were amazing, always smiling and acknowledging us. The food was plentiful, our 10 year old daughter didn't stop eating and so much variety at each sitting. Outside the Hotel there is the Marina with several shops and bars/eateries, but not much else. The Hotel provides a free coach that goes back and forth to Playa Del Carmen several times each day. The entertainment team are great during the day, with plenty of activities for young and old, if you so wish. The evening entertainment is a bit hit & miss; it's either great or terrible. We would definitely go again. this is a very good hotel and very clean.it is the quietest hotel we have been in for a hotel of this size.the bedrooms we were in were nearest the marina looking out to sea.they were clean and comfy with a fridge and air con but the air con was not brilliant.breakfast is buffet style similar to most hotels,lunch is buffet style at the pool bar with wine and beer if you want it,evening meal is in the main retaurant and you sit where you wish.it was never chaotic and you can have a bottle of wine or two with your meal or whatever you wanted all inc.there was always a carved meat and the other meats were being cooked all the time,plenty of salad and sweets.entertainment was not brilliant,we had a group called cloud nine doing a tribute to the temptations who were very good,there was also lord of the dance which was quite disappointing.you have to be patient with bar service and you use your room key which is swiped,no sweaty wrist bands.there was no problem with sunbeds at the time of year we were there but there are some people with sunbeditis who think they have their ideal spot and plonk their towels on very early.a free bus leaves the hotel at 10am and drops off in puerto del carmen and returns at 1.15pm and there are busses at other times.overall a very good quiet hotel. We have just retured from the Costa Calero Hotel, our fourth visit,and it was still as good as ever,the cleanliness of this hotel is outstanding,the staff are always very friedly and make an effort to speak with you, the bedrooms are spacious and elegant, the maids leave different arrangments on your bed every night (don't know how they find the time). The food in the restaurants is varied and good quality, the dining room and outside dining terrace are both of a high standard, and both the theatre bar and piano bar are very comfortable, (although the entertainment can be unpredictable). The drinks supplied on the all inclusive were branded names, and included Irish coffees etc. The outside area of this hotel is spectacular, the gardens are ablaze with colour and complimented by the four well maintained swimming pools. Stayed for one week at this hotel on recommendation. Hotel is 4 years old and in immaculate condition. Everywhere spotlessly clean and all furniture/fittings modern and high standard. Staff very friendly although service in some areas could have been quicker. we prefer to do this for evening meal. Only downside to hotel was entertainment which was dire. Would return to this hotel as good value for money in an upmarket resort. This hotel is only a few years old and is of a very high standard. The whole hotel is kept very clean and service is impecable. The food is excellent and a there is a great choice, drinks are branded and good measures. There are things to do during the day if you wish to join in, but must warn evening entertainment isn't brilliant (which is not unusual for all-inclusive). There is a free shuttle bus to Puerto del Carmen or you can walk down to the harbour and catch the waterbus which cost us 30 euro return for two people. I wouldn't advise Lanzarote for people with walking difficulties as there are some very steep hills. The walk from the hotel to the harbour is quite steep. The hotel has its own spa centre, and I would recommend this as the prices are reasonable. There are childrens clubs, a gym, a few bars and top notch scenery. Overall if you want a relaxing holiday this is the place to go and still have the ability to go to the livelier places if you so wish. The only let down was the return transfer to the airport. We were forgotten and landed up chasing transport, but the hotel staff sorted this for us. the location is very quiet no shops as such just a up market area of ahanfull of restaurants bars just nice to make a change from the hotel. staff very plesent was alittle dissapointed in the piano bar not enough of them not alot of atmosphere either you had to go to the bar to order your drinks hardly any waiter service here! evening meal nicely laid out tables not all crammed staff was good my only gripe here was the carvery didnt seem best cuts of meat! animation team very good lots going on if you want to join in. thought that the main bar where the showa takes place lacked atmosphere. a big plus of this hotel is the grounds for ths sunbeds one of the best i have come acrossed, there are the usual areas pool grass buy there are also stone walls like little maizes which has two sunbeds some times three it seems that you have your own private little section , never a problem either getting a desent sunbed as there is so much choice. something eles i noticed the pool toilets were cleaned to a very high standard these have showers in them with lockable lockers so i guess no need to book a late checkout room. we would definetly return we have already booked to go to costa teguise in april but dont think the next hotel will match up! We were fortunate to get a late availability to this hotel in September and having been to Lanzarote before knew that we would have a good time. We were pleasantly suprised when we arrived at the Hotel. Its very grand. Although quite remote , the hotel offers everything you need for a complete chill out week. Food was excellent and we visited the a la carte on one occasion(wouldnt recommend it) food in buffet much better. The hotel is a venue for weddings and we were lucky enough to have a ring side seat so to speak for three very different weddings. Rooms were very nice, lots of nice toiletries and dont bother with taking bath towels there supplied, and spotlessly clean, only drawback was that our balcony faced over the outdoor eating area(third floor) and so we were woken up quite early when staff were setting tables or early diners arrived in the restaurant, also many smokers sit on the external area so people in theze rooms get the full smoke back draft, avoid these rooms if possible. The five main pools were lovely and the gardens make up for not having a beach, and there is a sun area which is a man made beach effectively, right next to the large pool great for kids, the thalassotherapy pool is wonderful too (12 euros). Staff were fantastic but could be better when serving at both the piano bar and entertainment room. The only other real entertainment is in the marina which is about the only place to walk here, there is nowhere else to go in the venings so no good if you like an after dinner stroll/ entertainment. First of all this hotel is spotless and well maintained, I think it is more suited to adults seeking a quiet holday away from it all. Everywhere you look someone is cleaning. Our son loved the kids club he always does. For me it was a bit too quiet. You really need to be all inclusive as there is not many other places to eat. Although it is only about 5 euros by taxi to town. Entertainment was usual hotel stuff dancing shows etc. ends at 11 but bar open to 1am ! Bar service can be very slow, not staff fault just not enough of them. As I say lovely hotel, bit out the road, food same most days too quiet for me, not a lot to do during the day if you are over 10. Not enough for teenagers.